The data for BigQuiz app is held in BigQuery. In Loading large JSON datasets into BigQuery with Apps Script I showed how you could maintain data in BigQuery with Apps Script, but now when I come to use it, I find that I want to abstract away access to it. Here’s why. The webapp is going to run ‘as the user‘ since I need to get access to the user’s data via the People API, but the bigquery access will run as me. This also allows me to keep any billing associated with BigQuery in a billing enabled project separate to the webapp project, and also allows me to use a service account for that part of the puzzle. This also avoids the need for BigQuery scope in anything other than the API executable. Here’s the code – of course cache is used wherever possible. Querying BigQuery with the QueryUtils namespace is just a matter of constructig an approriate SQL string. Here’s the code. 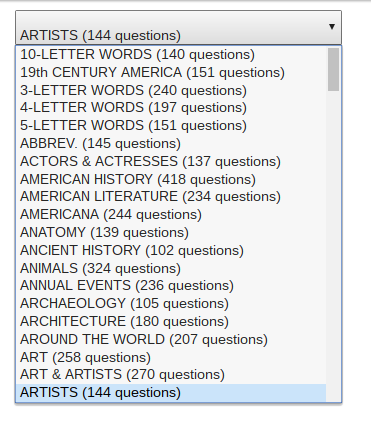 The selected answers are also shuffled into random order. Note also that duplicate answers are removed to help avoid repetition, and a number of questions are returned in a chunk to reduce the number of calls that need to be made. Note also that an OAuth2 authorization is needed with the project it’s targetting. After setting up some credentials in the target project, BigQuiz needs a one off setting like this. Unfortunately you can’t use a service account with the execution API, so this is handled as a dialog in the BigQuiz webapp startup.